Luke was born at 30 weeks, and 6 days in September 2017. I was actually meant to be at conference with work the next week, but he clearly had other ideas! My waters broke early one morning at home and after going in to the maternity ward to be checked out, soon after that I was rushed to theatre, placed under a general anaesthetic, and out came Luke via C-section. We were told afterwards that Luke had gotten into distress as he had gotten the umbilical cord wrapped around his neck, twice. We were also warned that he was quite badly bruised and he had bruises on his neck, foot and hand due to the way they needed to extract him so quickly. On a more positive note he was a healthy weight for his gestation, at 3lb, 3oz, and after just a couple of inflation breaths he was breathing on his own, just with CPAPP for support. I was a while in recovery so didn’t get to even see him until much later that evening (he was born at 10.10am) and didn’t have my first cuddle until the next day. Going up to the ward was strange given that as soon as you enter there is a baby noise everywhere. 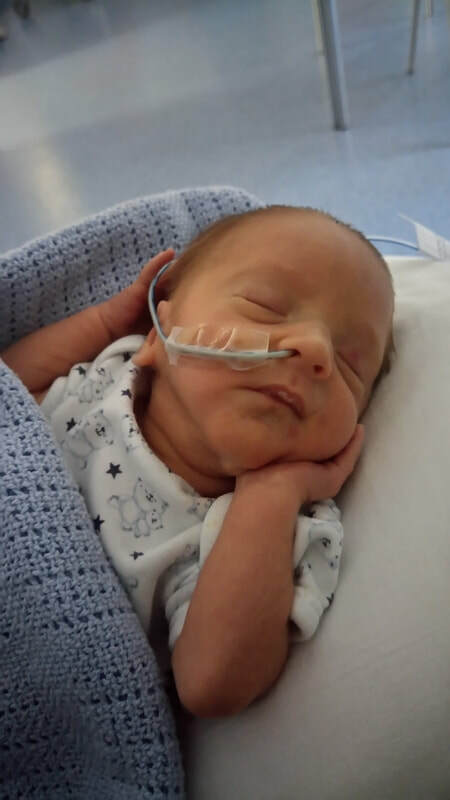 Initially they made the mistake of thinking that Luke was born at 36 weeks (instead of 30+6) so I was put onto the main ward, but as soon as they realised, they moved me to a quieter area, although due to demand there were still always mums with their newborns in close proximity. Being a first-time mum and still in a state of shock I don’t think it worried me as much as I know it could have. Luke spent his first week in ITU. All of the staff that were looking after Luke were so supportive and really encouraged us to get involved as much as possible in Luke’s care. This really helped us come to terms with what was going on and helped us understand too. He was on and off CPAPP and UV lamp for jaundice and although cuddles were difficult with all the machines he was attached to, again skin to skin was encouraged, so we got as many as we could! After 7 days Luke was moved to Special Care as he was doing well. He no longer needed CPAPP but was on and off the UV lamp for jaundice for the next two weeks. He had a little ‘blip’ about 3 weeks into his stay with a suspected tear in his gut, so moved back to HDU. Luckily all tests showed no tear and he was moved back to special care after only a couple of days. We put it down to the fact he hadn’t been in that room yet and wanted to try it out – he did manage every room in the unit so was just ticking that one off the list! We spent a total of just over 6 weeks in the Neonatal unit at Lister. Even though it was crazy, and Luke came into our lives way before we were probably ready for it, we took a lot of positives from our experience. Expressing around the clock (it definitely felt that way anyway), lifts into the hospital each day and leaving our little man each night weren’t easy, but the consultants and nurses always kept us informed and answered our endless questions, and really supported us getting involved in Luke’s care each day. We learned what the phrases on the charts meant, even the BO+++ (of which Luke seem to do a lot at night!!). When Luke came home, on expressed breast milk via bottle, we felt prepared and confident, and that was thanks to all the support we received during our time at Lister. We really feel that Luke has been one of the lucky ones. He currently isn’t showing any signs of long-term issues that some premature babies do face and for that we are very thankful. He has been later so far with some development milestones but he always gets there, he is so determined. 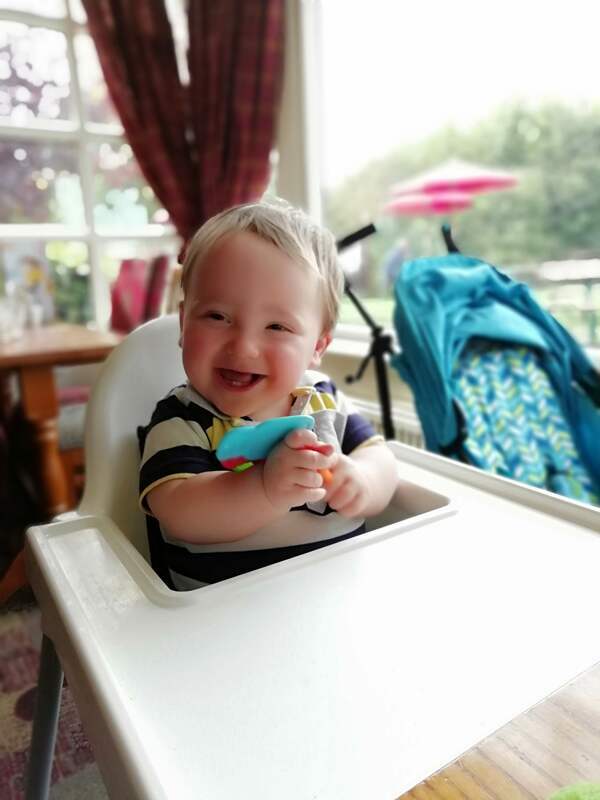 He has been diagnosed with hypermobility, which isn’t connected to his prematurity but it does mean for things such as walking he has double the potential delays to overcome. This doesn’t stop him from being a determined, cheeky and happy 17-month-old. We will always be eternally grateful for all the staff at the Lister NICU and will never be able to thank them enough.